A “check engine” symbol that lights up on a vehicle’s dashboard indicates that a part of the car’s system is malfunctioning. Vehicle owners and drivers alike should figure out what the check engine light warning indicates right away. This ensures small problems don’t become worse and serious problems do not risk safety. Professional mechanics are equipped with advanced automotive diagnostic technology to quickly identify such problems and determine a repair strategy. 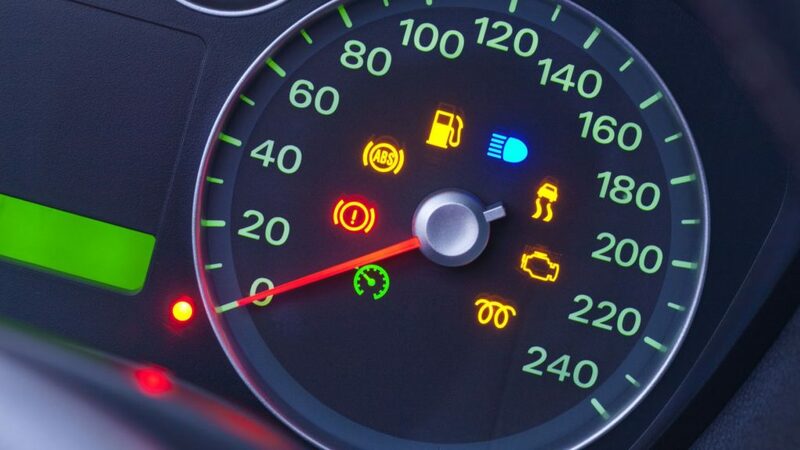 A car’s check engine light will either flash or remain steady. A flashing light signifies a serious problem. Drivers need to pull over to a safe location, turn off their engine, and have the car towed to a repair facility. On the other hand, a steady symbol indicates a wider range of potential problems that can be minor or serious. Each vehicle has an onboard diagnostic system II (OBD-II) to control and monitor vehicle performance and regulate variables like engine speed, fuel mixture, ignition timing, and automatic gear transmission. The check engine light is triggered when this system finds a problem in the engine it cannot correct. While cars manufactured before 1996 have a different type of diagnostic system, modern vehicles across different carmakers and models are equipped with a similar type of system. Engine lights only differ in terms of their appearance on the dashboard as they show up in different locations and colors (e.g. orange, yellow, or red). The symbol of the check engine light is that of a car engine’s outline and can come with the words “check engine” in some cars. This warning light is different from a service light. A service light is shaped like a wrench and signifies not a mechanical problem but a scheduled maintenance. Vehicle owners can determine the problem behind the check engine light warning by reading the code provided by the car’s diagnostic system. This requires use of an OBD-II scanner or reader often provided by a mechanic or a professional service. A quick online search with the car’s year, make, and model can turn up the description of the engine problem and provide suggested repair options. However, in many cases, the code only directs the owner into the general area of malfunction and further diagnosis is required. Car MD’s 2017 Vehicle Health Index determined the five most common check engine light problems from 2016 included a faulty catalytic converter, ignition coil and spark plugs, oxygen sensor, and mass air flow sensors, as well as a loose fuel cap. Repair costs will depend on the detected problem. For instance, while a damaged catalytic converter has an average total replacement cost of $1,200, a loose fuel cap can simply be tightened or replaced for under $20. Once the vehicle’s diagnostic system determines the underlying problem is solved, the check engine light will go off within several days. Otherwise, the light can be manually turned off with a code reader. The light will reappear if the issue is not fixed. A check engine light problem that is ignored for a long time can create a snowball effect. A relatively inexpensive malfunction can eventually damage costly vehicle parts like the catalytic converter and significantly increase repair costs for a vehicle owner.